With Fall just around the corner, we wanted to do a follow up to our “fall engagement picture ideas” with Fall wedding ideas! Reds, Oranges, creams, and yellows are great colors choices, center pieces with leaves, wheat grass at the ceremony sites, and pumpkin spice baked goods as thank yous are ideas we love right now! 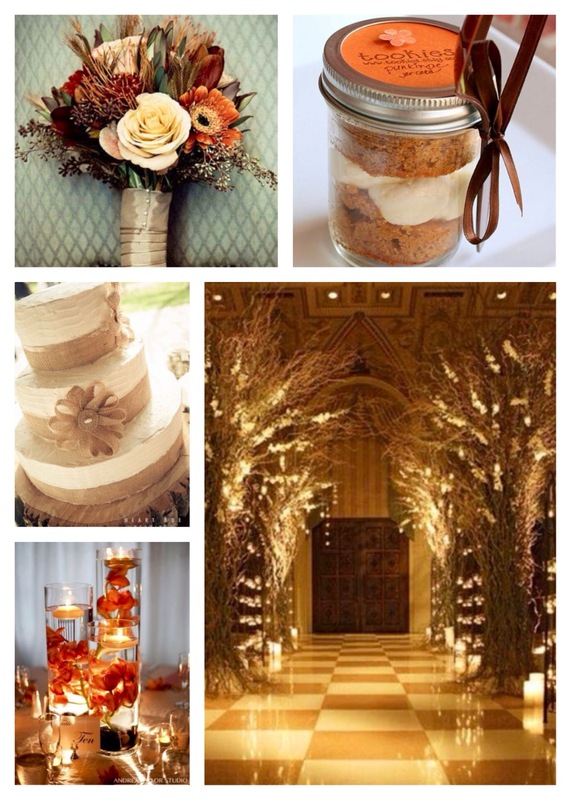 This entry was posted in Themes We Love and tagged bride to be, ceremony ideas, Detroit, engaged, event planning, fall colors, fall weddings, leaves, michigan, ohio, pumpkin spice baked goods, wedding planning. Bookmark the permalink.